$34.00 per 30 minute private lesson held once a week. $51.00 per 45 minute private lesson held once a week. 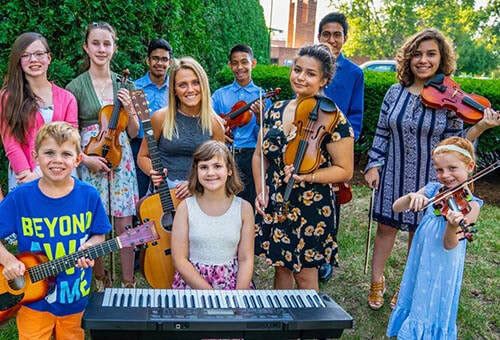 Offering quality violin, piano, guitar, bass, ukulele, voice, drums lessons in Westmont, Illinois. Serving the Communities of Hinsdale, Downers Grove, Darien, Clarendon Hills, Woodridge, Willowbrook, Bolingbrook, Lemont, Burr Ridge, Oak Brook and more. Guitar, Bass, Ukulele, Piano, Voice, Singing, Drums & Violin.